According to the report prepared by the NHTSA, there was a total of 840 bicyclists killed from traffic accidents in 2016. This was a surprising increase from 2015, in which 829 bicyclists died in crashes. That’s an increase of 1.3 percent in just one year. This increase is unfortunately part of a larger trend that the report found. In 2007 (when the report began), there was a total of 41,259 fatalities. Of that number, there were 701 fatalities with bicyclists, which is only 1.7 percent of the total deaths. The number of deaths dipped between 2009 and 2011, where the total number of deaths for each year varied between 628 to 682. Then in 2012, the NHTSA report shows that both the total number of deaths and the number of bicyclist deaths from car crashes began to rise precipitously. To look at this another way, Florida had 6.2 deaths per 100,000 people. This figure is compared to only 3.9 deaths per 100,000 for the next closest state, which is Louisiana. Within Florida, the Tampa-St. Petersburg metro area was the most dangerous metro area for bicyclists in the nation. That metro area came in with an astonishing 7.0 per-capita deaths. The next worst metro area in the state was Jacksonville, which had 6.0 per-capita deaths. Next, Orlando came in the third most dangerous metro area for Florida. Orlando had 5.8 per-capita deaths. Sacramento, California rounded out the fifth slot at a low 4.8 per-capita deaths. In 2017, the number of deaths in Florida for cyclists actually dropped somewhat. The number of cyclist deaths for that year was 116, which was the lowest since 2010. However, in 2018, the number of deaths skyrocketed dramatically. By the end of September 2018, over 95 cyclists had been killed, putting it on track for over 130 deaths. So why are the statistics so bad? One reason is that many cities across Florida and the country in general have a growing number of bicycle sharing companies springing up, putting many bicycles on the road. These companies are trying to re-imagine the way people get around cities. They offer bicycles at fairly cheap rental rates for short point-to-point trips. Most of the companies allow the customer to pick up a bicycle at a self-service station and return the bicycle to any other services station in the metro area. Another issue is the shear combination of tourists, elderly drivers, and relatively densely packed metro areas. It can be a jumble of people who either do not really know the area and people who are not able to drive that well. The third issue is that many of the crashes involved either drunk drivers, drunk cyclists, or both. In 2015, approximately 22 percent of the cyclists who were fatally injured and approximately 12 percent of the drivers involved in the crashes had blood-alcohol levels of at least 0.008 percent or higher, which is the legal BAC in Florida. Another reason for the high levels of crashes is the number of people involved often distract themselves by texting. While texting and driving is illegal in Florida, it is often hard to enforce. Unlike most states where a police officer can stop a driver just for seeing them text on their phone, in Florida it is illegal to stop a driver for just texting. So, in essence, in order for a police officer in Florida to pull someone over for texting, they have to have another reason, such as speeding or failing to use a turn signal when switching lanes. Most states have texting while driving as a primary offense. In fact, only four states in the entire country do not have texting while driving as a primary offense. This makes Florida one of the most lenient states regarding texting while driving. In fact, Florida is only one of six states that have texting-while-driving laws as lenient as Florida’s, and the consequences are disastrous. In an interesting study, the South Florida Sun-Sentinel researched and analyzed the causes of 3 million crashes involving automobiles from 2013 to 2016. The study found that the rate of drivers while texting was skyrocketing. Unfortunately, the Florida legislature has been extremely slow in creating tougher laws, and surprisingly, the Florida has no official way of tracking cell phone use in crashes. The South Florida Sun-Sentinel, however, found that the rate of collisions that were typical of texting while driving is increasing dramatically. Keyna Cory, the coordinator for the Florida Don’t Text and Drive Coalition, said that the rate was an epidemic. Cory continued by saying that the sharp rise in people driving carelessly and erratically was highly tied to the number of people texting while driving. Fortunately, there have been some positive developments. 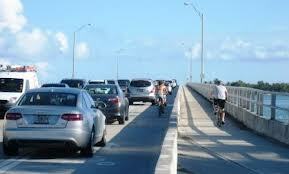 For example, the Florida Department of Transportation recently changed the standard width for bike lanes. The standard changed from a meager 4 feet to 7 feet in 2014. The Department now further recommends that bike lanes are buffered or protected. The Department further launched a $100 million campaign in 2016 to increase the light in over 2,000 locations around the state. This was to help prevent the number of nighttime crashes. 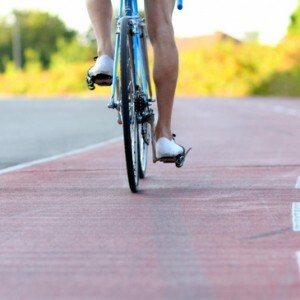 At the Wolfson Law Firm, our Florida bicycle accident attorneys are here to help anyone injured in a bike accident in Florida. We offer free consultations and we never charge a fee unless we make a recovery for you. Just call us at 305-285-1115 with any questions. We have offices in Miami, Fort Myers, West Palm Beach and Fort Lauderdale. Our Florida personal injury lawyers are available to serve the communities of Orlando, Tampa, Sarasota, Naples, Tallahassee, Gainesville, Jacksonville, Daytona Beach and the Florida Keys. Call us today and let us help you and your loved ones after your Florida bike accident.